The Clinical Skills Program runs through the first and second years of the curriculum. Medical students spend one-half day each week seeing patients under the supervision of practicing physicians. 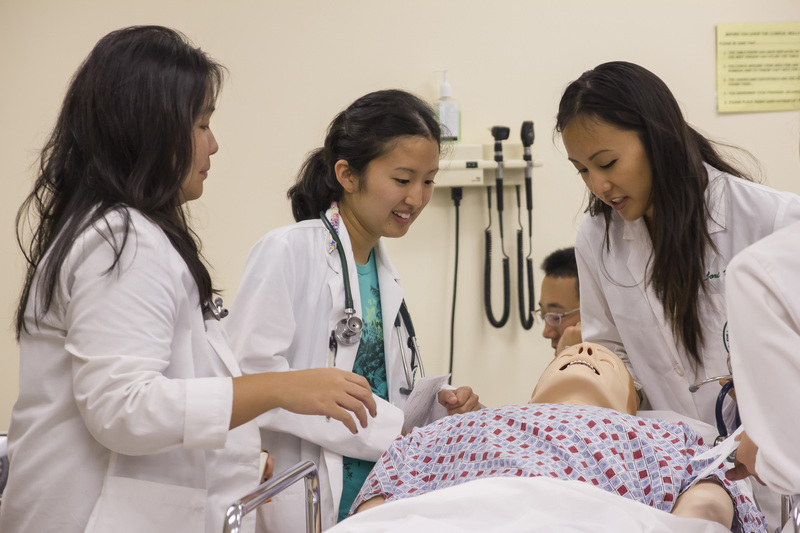 Students have the opportunity to practice the skills of medical interviewing, physical diagnosis and diagnostic reasoning under the supervision of their faculty. These patient care experiences are supplemented with large group clinical skills laboratories and a number of standardized patient learning experiences. Standardized patients are volunteers recruited from throughout the community who agree to be trained to portray patients with specific medical histories or health problems. These volunteers provide medical students with the unique opportunity to practice and develop their medical interviewing and physical examination skills in a safe and supportive environment. Standardized patients are also used for testing purposes. All JABSOM students must successfully complete a number of multi-station standardized patient examinations as a graduation requirement. This attention to teaching and assessing its medical students’ skills in the art and science of communication and physical diagnosis ensures that JABSOM graduates will be caring, competent and highly-skilled physicians.